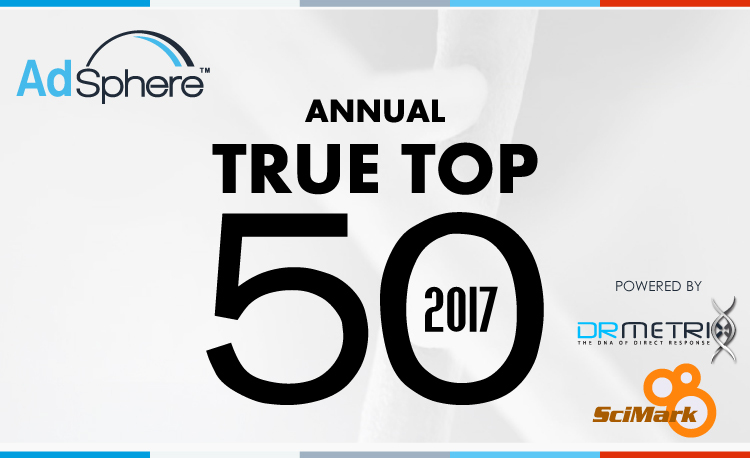 Jordan Pine, from SciMark has released the annual True Top 50™ industry study for the 2017 broadcast year! Using data provided by DRMetrix’s AdSphere™ research system, Jordan studied 2 minute ‘short form product’ television campaigns. In addition to sharing the top 2 minute campaigns by AdSphere™ Spend Index™ for the year, he also announced the top 5 ‘True Top Marketers’, ‘True Top Producers’ and ‘True Top Feeders’. Congratulations to all!